From black car sedan services to festivals and business events that require luxury bus services, there are plenty of limo service companies in New Jersey to choose from. What’s harder to find is a lux limousine service that lives up to its name. Ours does. And we always start with safety. It’s no wonder we are considered one of the best limo services in Central New Jersey, serving Rumson, Colt’s Neck, Holmdel, Marlboro, and more. As a consistently rated 5-star service on Google, our dedication to customer satisfaction is second to none. Reserve your 5-star service now! Worldwide Transportation. It’s Still The Same. One Phone Call. Luxe Limo Service provides premium ground transportation to over 450 cities around the world for business and leisure. With just one phone call, our staff can arrange one or multiple reservations practically anywhere around the globe. Whether you are reserving limo services for a flight to Newark or you’re flying to Rome, we’ll get you there and back on time and in style. Luxe Limo Service is your New Jersey wine country car service! With over 40 area wineries, we can take you to the vineyards of your choice. Or, you can select one of our wine tour packages. We choose only the very finest vineyards for you and your friends to enjoy. Either way, world-class wine is only a sip away, and you won’t have to worry about driving. From New Jersey’s Outer Coastal Plain to Long Island’s own wine country, we will show you the beautiful vineyards and the wines that make it all possible. From classic sedans, limo SUV’s to party bus rentals, choose the wine tour vehicle that best suits your party’s needs. Then sit back, relax and enjoy a day with good friends and exceptional wine. …and our staff schedules your charter bus and shuttle services event. No matter if it’s around town or state-to-state. And we’re a wealth of information for choosing the best local restaurants, hotels, and event venues. Because of our stellar reputation, Luxe Limo Service has worked for years with festival coordinators, destination management companies, event planners, as well as other organizations. We provide their attendees with the safe, super comfortable transportation they have come to expect. We’ve maintained these relationships because of our commitment to vehicle maintenance, safety, customer service and professional, friendly chauffeurs. Corporations, companies, and organizations just like yours place their staff, family, and friends in our hands. That’s because they trust our safety record and our professional chauffeurs. 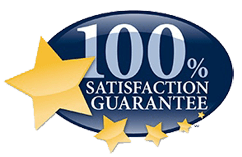 Always a strong commitment to safety, both with client safety and vehicle care, we’re committed to superior customer service, a smooth, comfortable ride in late model vehicles, and hiring friendly, professional chauffeurs. It’s the backbone of our business and it’s why we’ve earned the public’s trust for the 20+ years we’ve been in business. We’re on time or the ride is free! We know what a big event proms and homecomings are to teens. It’s their first experience of a formal affair, and it’s exciting! That’s why we do everything possible to make it a truly unforgettable event. Whether you rent a prom party bus, a limo SUV, Hummer, or an elegant sedan, we’ll make your teen’s evening the night of a lifetime. And, of course, we place your teen’s safety first. As a parent, you’ll never have a minute’s worry about the luxury vehicle rented for the evening. As New Jersey’s best prom limo service, we encourage you to reserve your limo early. The sooner you reserve, the greater your selection of vehicles. 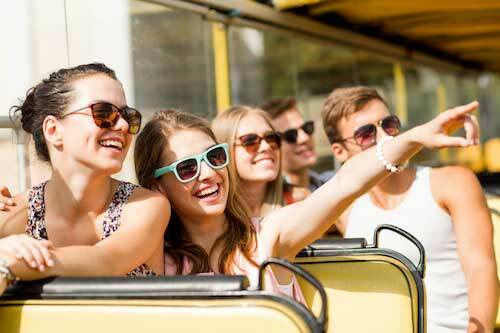 Atlantic City bus tours from NJ? 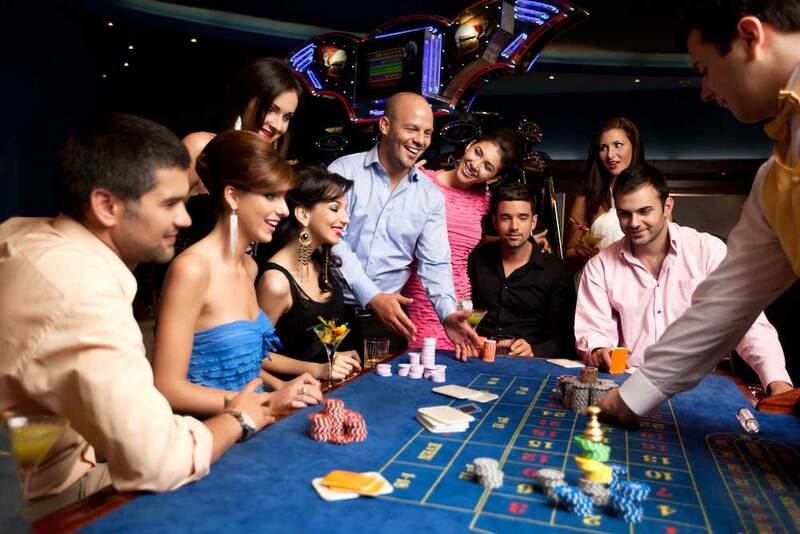 From small groups of 10 to large groups of 200+, our late model luxury vehicles and our professionally trained chauffeurs are the perfect complement to a high stakes gambling adventure. Want a one-day casino bus trip? Or, do you prefer overnight bus trips to New Jersey’s gambling capital? Either way, we offer both for the weekends. But what about your earnings? Are they safe? In a word, yes! All of your gambling money is stored in a lockbox. The money you won will be the money you take home with you…every last penny! And all of our charter buses have the comfort and amenities you would expect from the area’s premier limousine provider in NJ. And more, depending on your choice of charter bus. Experience the buzz of high stakes gambling in high style with Luxe Limo Service! Reserve your casino trip now! 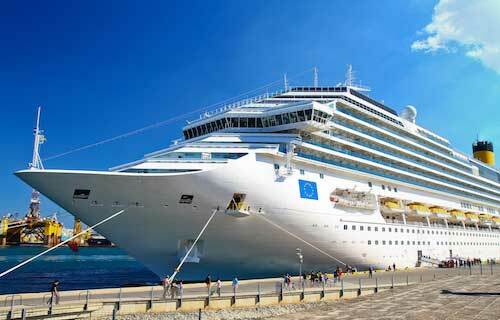 Looking for worry-free cruise port limo service? Look no further. With us, your dream cruise will be stress-free from beginning to end. Whether you want shuttle service to Cape Liberty cruise port, a shuttle to Bayonne or Manhattan cruise ports, or transportation to the Baltimore cruise terminal, two things are for sure. You’ll arrive relaxed and excited about your trip. You won’t have to fight for a parking spot or lug your suitcases for miles to get to the ship! From cruise port pickup to drop off, Luxe Limo Service will be the stylish, comfortable and relaxed way to enjoy your cruise. Reserve your luxury cruise transportation service here. Everyone needs a night out once in a while with friends. Is that you? Then call us for premier night on the town transportation with the vehicle of your choice. Just tell us what you have planned for the evening and where you want to go. We’ll make sure you get there in high style and super comfort. With squeaky clean vehicles, choose the vehicle that best suits the number of people you’re inviting for your evening out. For just 2-3 people, our sedans are perfect. If your group is bigger, we have limo SUV’s, Mercedes Sprinter vans, and shuttle buses. Best of all, enjoy your time with friends without worrying about seeing red lights in your rearview mirror! From executive limo services, families catching a flight, to festival tour buses, we handle a wide range of airport pick up and drop off services. Always on time with curbside assistance available, we offer both one-way and door-to-door airport shuttle service in New Jersey. Simply sit back and let us navigate the traffic. We promise that ground transportation with us is the best part of airport travel! Reserve your NJ airport limo service here. 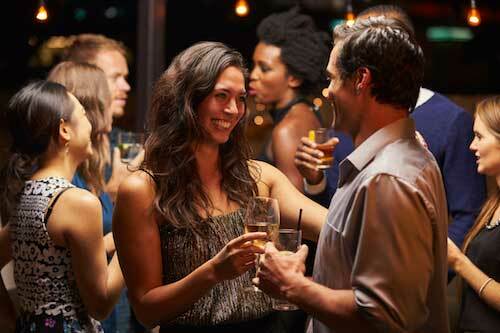 We know it can be hectic and stressful to arrange group events. That’s why Luxe Limo Service is your partner in group airport transportation. Our experienced staff works closely with you. We offer valuable suggestions and tips for arranging and streamlining a successful group airport pick up and drop off. Let us handle the travel details while keeping you solidly informed. That’s what we do. Isn’t it good to know you can confidently take that stress off of your shoulders? It’s just one of the many reasons companies, non-profits, and associations turn to us over and over again. Go ahead. Google it. “Charter bus companies new jersey.” There’s no shortage, is there? That is if you are not discriminating. The question is, how well do you want to be cared for? It’s always 5-star service with Luxe Limo Service. We provide all-inclusive planning and management of your transportation needs. We work with you to ensure that your group transportation goes without a hitch. That’s our job and we take great pride in it. Speaking of jobs, we are on the job before your plane ever touches the ground. And we remain on the job getting you to your destination and then back to your flight again. Ride in supreme comfort and style! Expect excellence from us because that’s the way we roll! Our private motor coach bus rentals are perfect for festivals, Atlantic City casino trips, sports teams, or executive retreats. Always in pristine condition, your party will ride in incredible comfort while enjoying all the amenities the modern traveler has come to expect. Our charter bus tours are always a pleasure because we take the stress of planning off of your shoulders. And, our chauffeurs are highly trained and super friendly! With a seasoned staff to work with you, we plan every last detail of your transportation. Bottom line? Expect a worry-free, stress-free ride. From sports fans to local sports teams to world-class sports professionals, Luxe Limo Service offers premier motor coach services for all three! Our extensive experience in providing high school bus transportation to local games and tournaments makes us an easy choice for schools and associations. 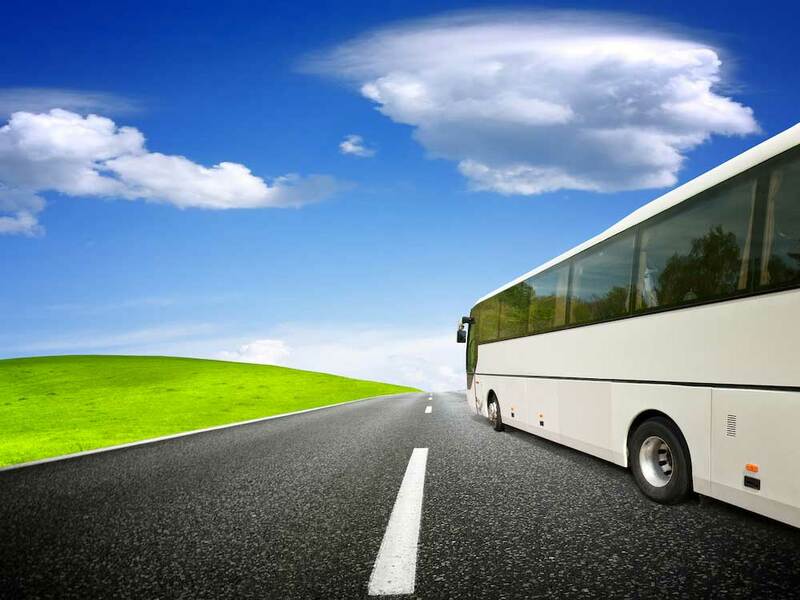 For college and professional players, our luxury charter bus rentals just make sense. Always on time, our chauffeurs are discreet, polite, and professional. For sports fans who want the same A-lister attention as the professionals they pay to see, Luxe Limo Service is the obvious choice. Find out for yourself why our executive motor coach service is the only way to go. From Sprinter vans, SUV buses, and hummer limo party buses, we’ve got you covered! Reserve your athletic event here! Luxe Limo Service can provide transportation to over 450 cities worldwide.